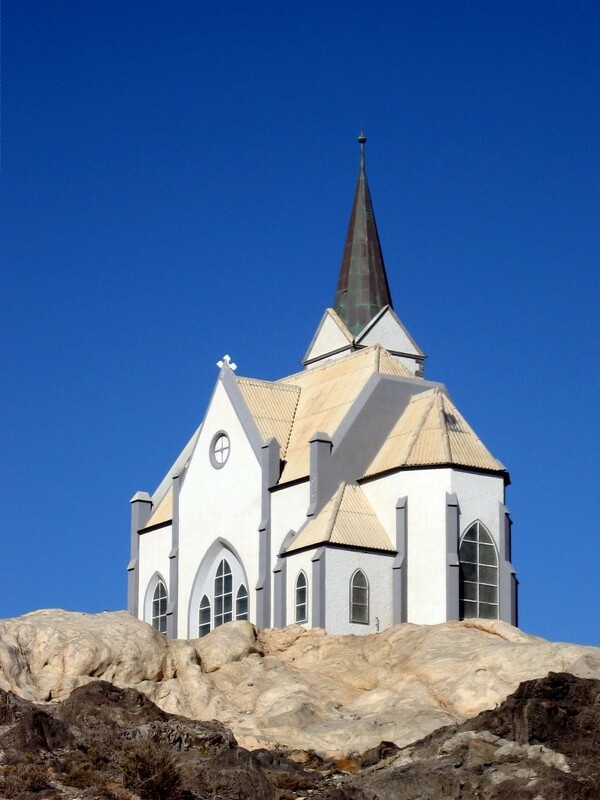 The Evangelical Lutheran Church, popularly known as the Felsenkirche (literally: “church on the rocks”), is the highest placed of all the buildings in Lüderitz. The German name comes from the fact that its foundations are a natural granite outcrop (i.e. a Felsen). 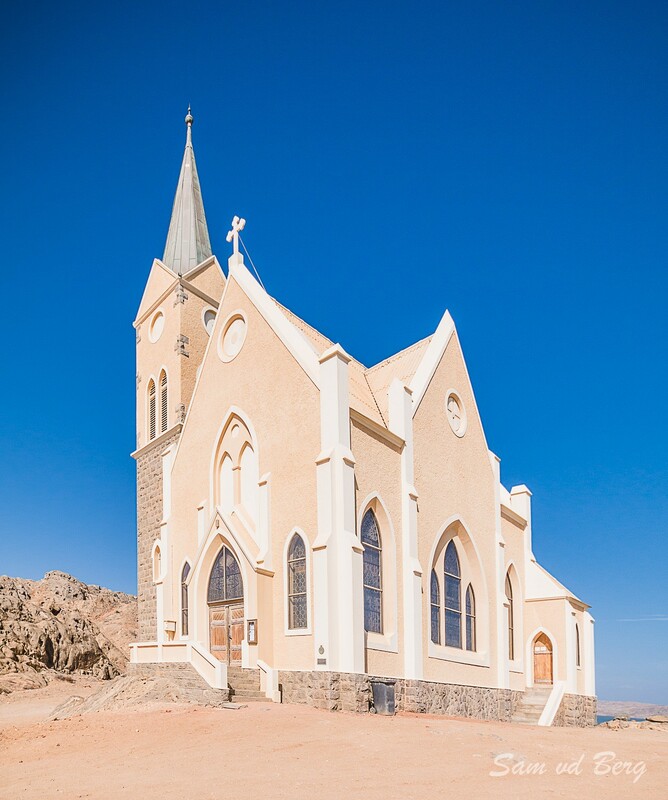 This church is not only one of Namibia’s architectural jewels, but also one of the oldest Evangelical Lutheran churches in Namibia. 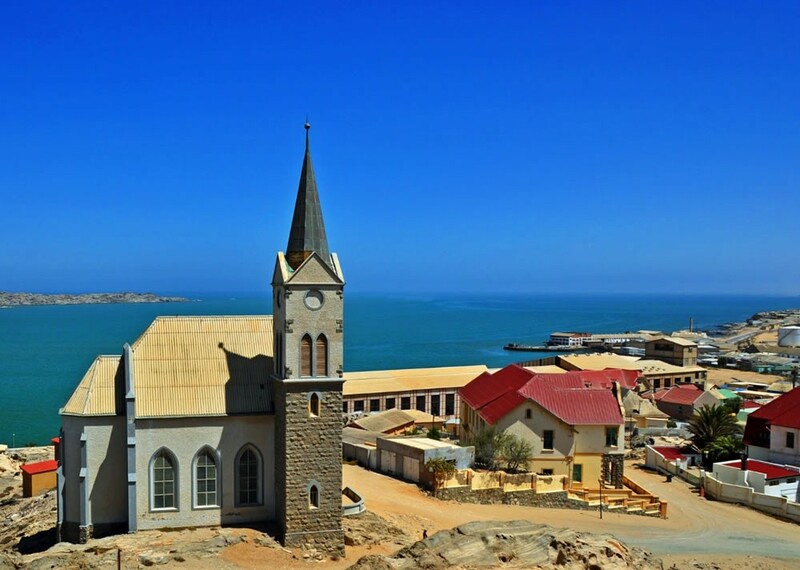 At the turn of the 20th century, as the German period in Namibia began, the European population in Lüderitz was too small to justify establishing an independent Lutheran parish. However, as rebellion against German colonialism increased during 1904-1907, so did the number of military units stationed at Lüderitz. 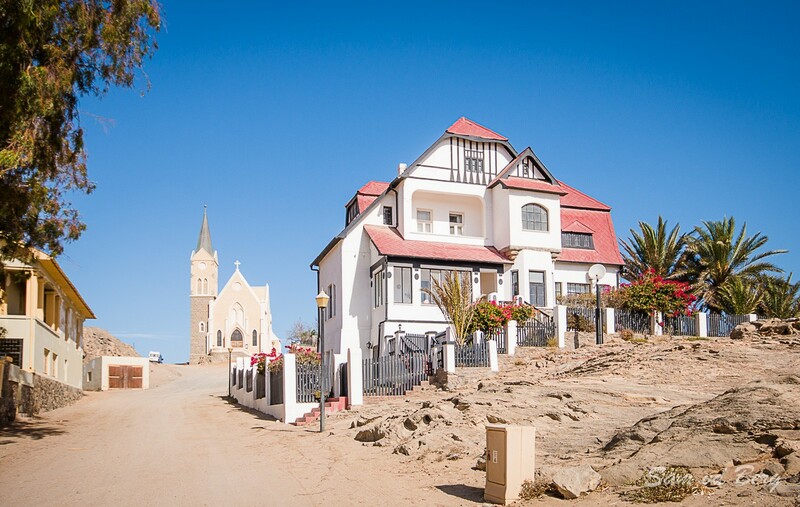 The number of German inhabitants in the town increased further in 1908 with the completion of the railway line between Lüderitz and the interior and with the discovery of diamonds in the area around Lüderitz. The result of this development was the establishment of a more permanent European population in Lüderitz. 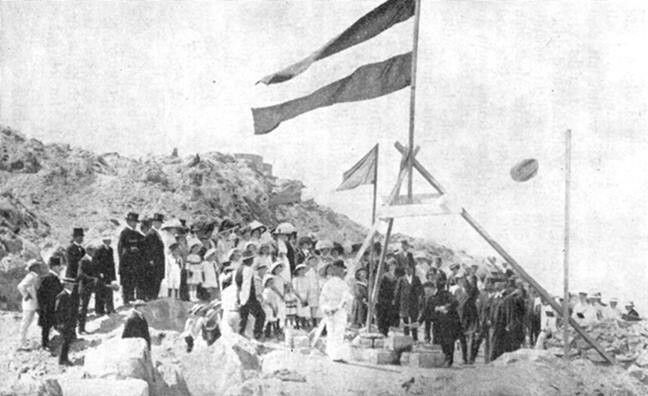 On 19 November 1911, the church’s cornerstone was laid. The appointed building contractor was Albert Bause, and the building costs amounted to 47,000 German Marks. The colourful windows of the church were a contribution by Emperor Wilhelm II and Johann Albrecht von Mecklenburg, and were delivered by the firm W Franke. The church was consecrated on 4 August 1912. 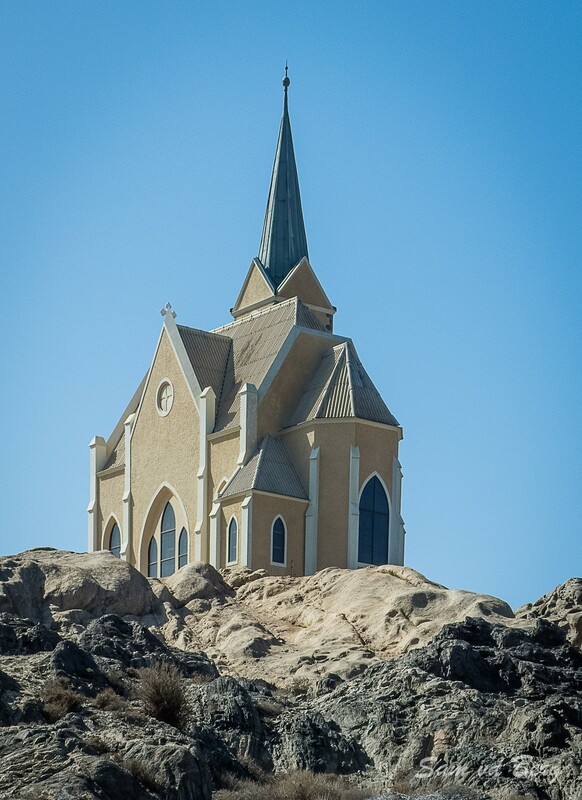 The church features a more “Victorian Gothic” architecture that the contemporary German neo-Gothic style. This may be due to the fact that the four brothers Bause, one of whom was the builder of the church, had immigrated to Namibia from Cape Town and may have been influenced by the English Victorian style of the Cape Colony at the time. The Felsenkirche is in an impeccable condition. It was given an A Class rating of 100 points by the NIA. 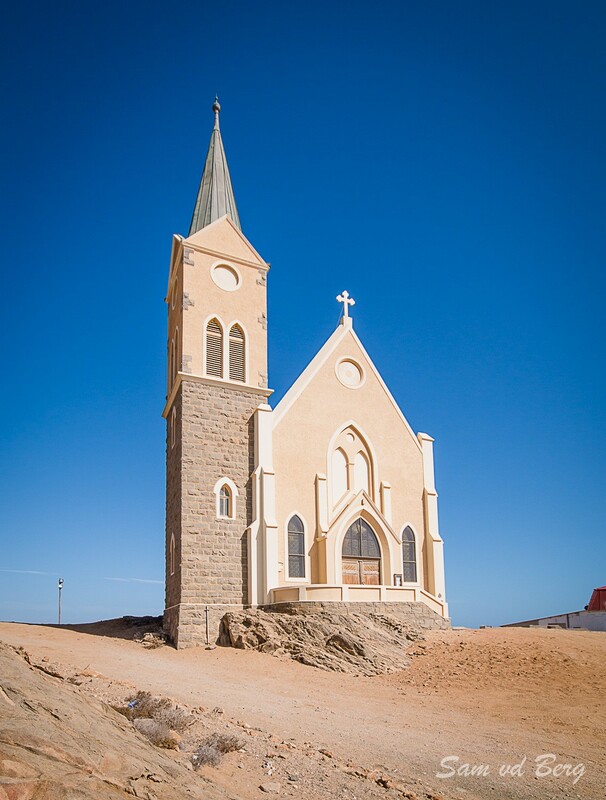 The church is situated at the upper end of Kirch Weg in Lüderitz, and was proclaimed a National monument on 21 September 1978.